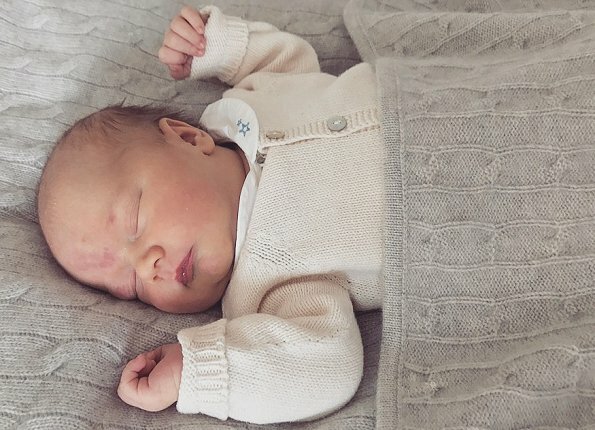 The first photo of the newborn Prince Gabriel of Sweden have been released by the Swedish Royal Court. The photo of the five-day-old prince was taken by his father, Prince Carl Philip at Villa Solbacken. The prince’s full name was announced four days after his birth as Gabriel Carl Walther and he also received the title Duke of Dalarna. Dalarna is the largest and northernmost province of Svealand. It is bordered by Norway to the west, Härjedalen to the north, Hälsingland and Gästrikland to the east, Västmanland to the south and Värmland to the southwest. The province flower is the spreading bellflower, and the province animal is the eagle-owl. Aww, what a cute little baby. :) It´s going to be so much fun for the two brothers to be so close in age. They will always have someone to play and have fun with. Very cute. They make nice babies! Beautiful baby, he does look like more old than he is. Too sweet for words. Adorable, beautiful baby. So cute! Makes me want another...but I am done.